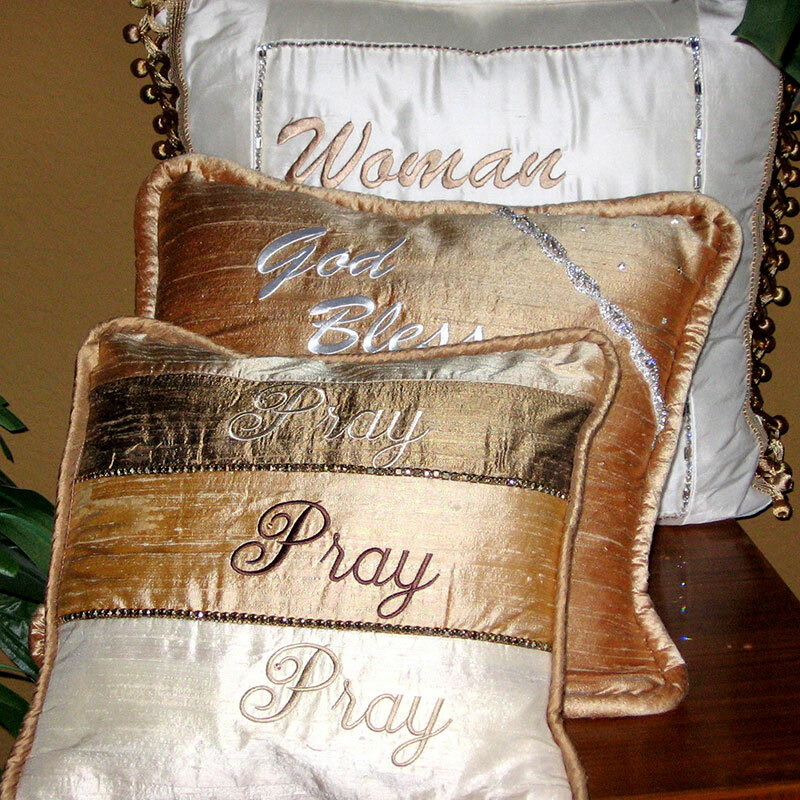 Make a room uniquely yours with a pillow that says it all. 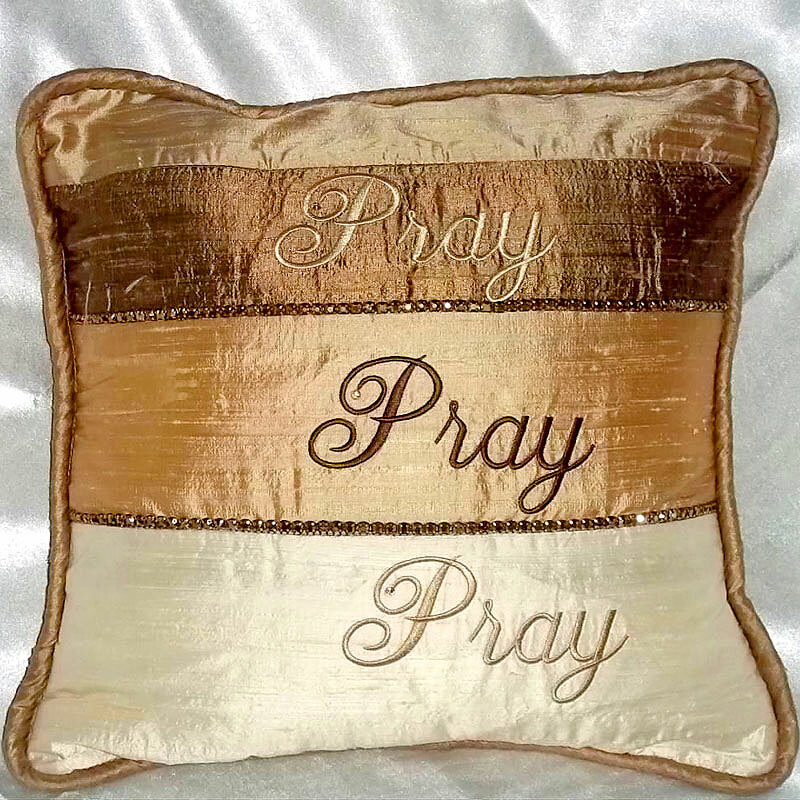 This dainty pillow, designed with neutral hues of mocha, was inspired by 1 Thessalonians 5:17 “Pray without ceasing”. 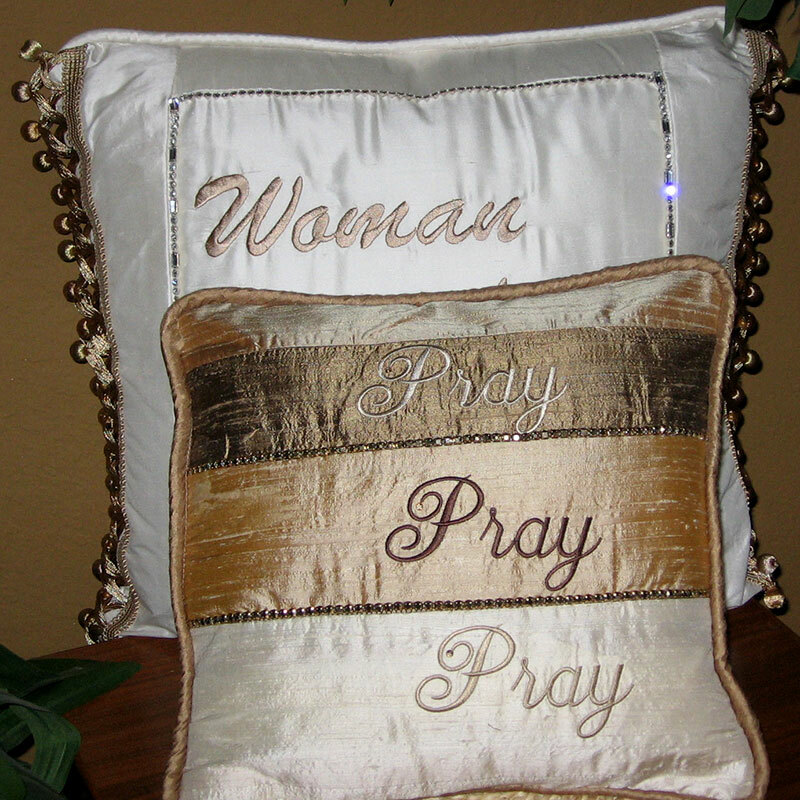 Made with three separate panels and 2 strands of bronze rhinestones, The embroidered word, Pray, appears 3 times – this pillow glows with power, power, power. 2 strands of bronze rhinestones hand sewn across the front. The back has a pocket for prayer notes and potpourri.